Become a citizen scientist! Learn how regular people can help scientists conduct research to make the world a better place. Scouts will explore Shaw Nature Reserve’s Brush Creek and collect data for citizen science project “Stream Selfie”. Scouts will also learn how to use iNaturalist to make observations and track biodiversity in our region during the worldwide City Nature Challenge competition! This program will be conducted in coordination with the “Think Like a Citizen Scientist” Girl Scout Journey. Scouts will receive a Shaw Nature Reserve patch for participating. Please bring your mobile smart phone to take photos and collect data. 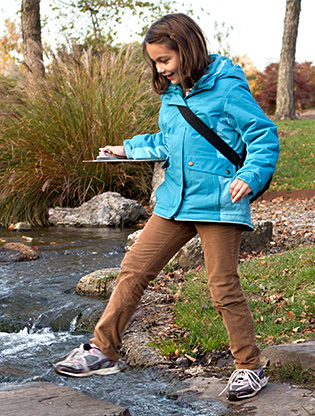 Held at the Shaw Nature Reserve, scouts will become modern-day treasure seekers as they explore the trails for caches! 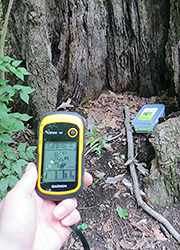 Scouts will learn how to use a GPS unit, make a trade item, and explore the Reserve for hidden caches. For Scouts ages 10 and up. Scouts will also receive a Shaw Nature Reserve patch. Registration closes April 19 at 5 p.m.